March's Homework Party is Friday the 8th. April's Homework Party is Friday the 12th. Mayl's Homework Party is Friday the 3rd. The March 2013 apprenticeship week is coming up fast and we are also working hard to get everything ready for the May Workshops. Busy days here in hoodoo-land! Tales of the Dancing Elves! In preparation for this year's May Hoodoo Workshops, we have promised to build an actual Cretan labyrinth on the Lucky Mojo land. Permanent. Stone. Rock solid. We have no pictures yet, but we do have an appointment date set for our First Labyrinthine Consultation with Dr. Lea Goode-Harris of the Santa Rosa Labyrinth Foundation. After the Consultation comes the Layout. Then comes the "Oh, one and a half to two pallets of Sonoma Field Stone from Wheeler Zamaroni." You haven't lived until you have met a perfect stranger on the phone who tells you that you will soon be in receipt of one and a half to two pallets of Sonoma Field Stone from Wheeler Zamaroni. Especially if you previously had never thought for a minute in your entire life about Sonoma Field Stone from Wheeler Zamaroni. Sonoma Field Stone from Wheeler Zamaroni. For those of you who want to know, here's a picture. I think this piece is a bit on the gigantic size. I think it might fill one pallet all by itself. But you get the idea: Sonoma Field Stone is just the kind of stone that you might expect to find in a field in Sonoma County. Which happens to be where we are located. 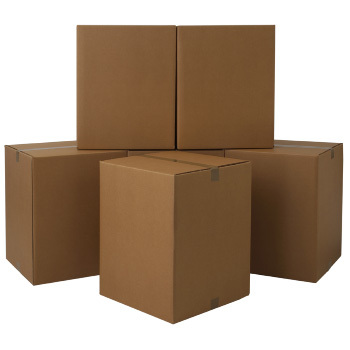 Wheeler Zamaroni are the people who put it on pallets and deliver it to you. Soon to appear in a conjure shop near you! Stay tuned! What is it? 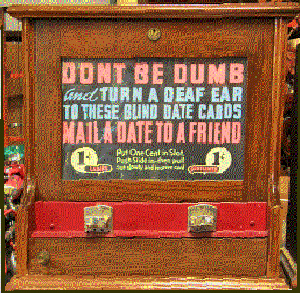 Why, it's a quartersawn oak Exhibit Supply Company postcard dispenser from the 1930s, of course! What does it have to do with hand-made spiritual supplies? Heheheh. Just you wait and see. NOTE: We have a PROGRAM CHANGE for the May 4-5 Workshops and it's gonna be fantastic! Kast Excelsior -- aided and abetted by the graphic contributions of Dr. E., Deacon Millett, Professor Ames, and cat yronwode -- is going to present a RADICAL new look at hoodoo's future! Drawing on historical roots, Kast will show how African American folk-magic has always evolved with the times and will continue to do so. In token of this, attendees will receive two professionally produced and packaged limited edition CDs that tell the story. One will manifest hoodoo's mysterious past and the other will showcase its fabulous technological future. These limited edition CDs will contain spell-casting material that you can personally use to carry your conjure forward into the new century that is unfolding all around us. What is on these two CDs? 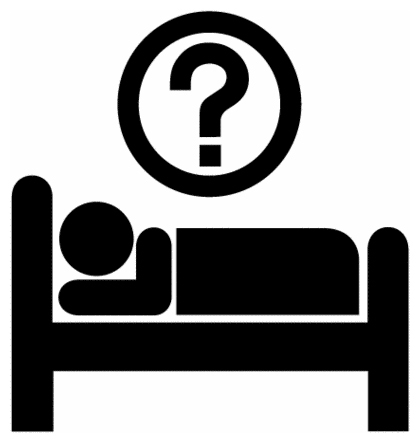 A secret, a conundrum, a puzzle? We're not telling, and there is a good reason why. This is going to hit our community like a bombshell, and you'll have to be here to get in on it from in front. And what's that glass thingee? What is that? Shhhhh. No telling. Sign up for this amazing workshop and you will find out -- and in addition to the two CD set, we'll give you your very own glass thingee to take home for your very own self! Sunday, May 5th, 2013, 5:30 PM, Forestville, CA. THIS IS THE WORKSHOP THEY'LL BE TALKING ABOUT FOR YEARS! BE THERE OR BE SQUARE. The Apprenticeship Program in April and May (see below) is our regular yearly program, but we have a number of employees in the shop waiting to take the WEEK ONE Apprenticeship. 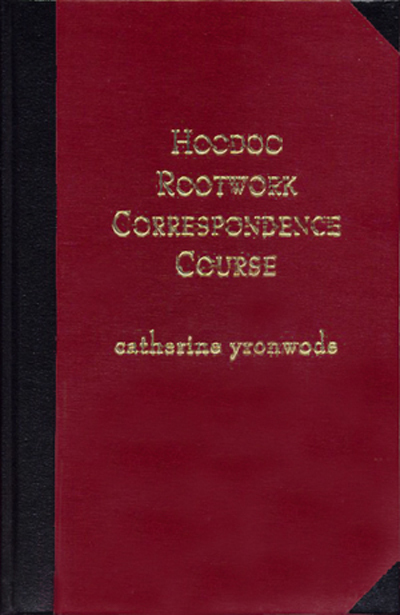 If you are a graduate of my Hoodoo Rootwork Correspondence Course and live locally or can make it up to Forestville for FIVE DAYS from MARCH 18 - MARCH 22, 2013, you can join us and get in on this FREE training program along with the employees. The same rules apply as for the regular April-May Apprenticeship, but this will be WEEK ONE. 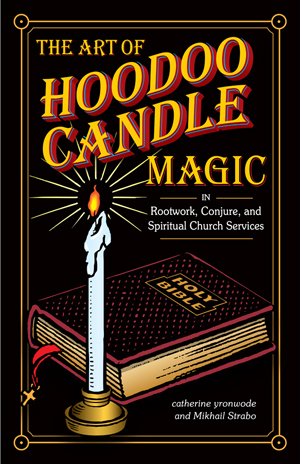 The program is FREE to Hoodoo Rootwork Correspondence Course graduates, but you must call Robin Petersen at the shop to arrange your attendance. The number is 707-887-1521. Robin is there Tuesdays through Saturdays. Share your magical culinary secrets with the Sisters of the Conjure Kitchen in "Hoodoo Food! The Best of the 2013 Conjure Cook-Off and Recipe Round-Up." Contribute recipes to our FOURTH Ladies Auxiliary benefit for Missionary Independent Spiritual Church. the Hoodoo Food! Conjure Cook-Off and Recipe Round-Up! 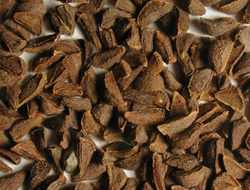 Helpful Hints for Cooking with Magical Herbs! 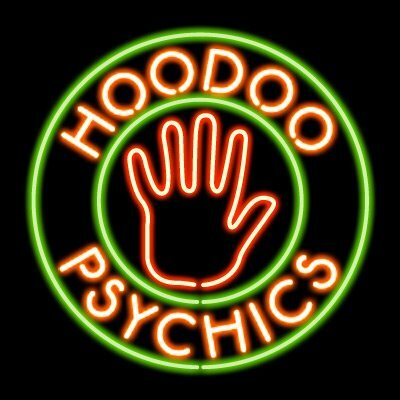 The Apprenticeship Program is a FREE 3-week series of lectures, personal training, and hands-on guidance for graduates of my Hoodoo Rootwork Correspondence Course. Spring Apprenticeship 2013 features WEEK TWO of the program and leads up to the annual MISC HOODOO WORKSHOPS AND POTLUCK PARTY on May 4-5. If you want to attend the Spring 2013 Apprenticeship, email Robin Petersen NOW at robin@luckymojo.com or telephone her at the shop -- 707-887-1521 -- Tuesday through Saturday, 9 to 5 PST. 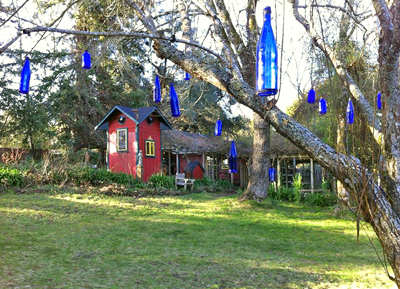 Blue bottle tree near the church. Photo by Jennifer Salazar Biddle. Two full days of hoodoo fun, friendship, and learning, complete with potluck meals and plenty of time to meet your fellow conjure workers, sponsored by Missionary Independent Spiritual Church, and featuring teachers from around the country! The May Hoodoo Workshops are a casual, relaxing, and sociable way to gain hands-on practice in the spiritual arts. A dozen MEMBERS OF AIRR will be congregating and offering both workshops and readings! 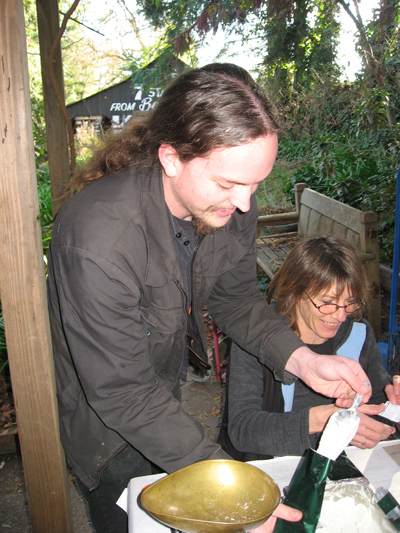 Rustic Oil Lamps in the Conjure Tradition: Dr. E.
READINGS BY AIRR MEMBERS DURING WORKSHOP WEEK! 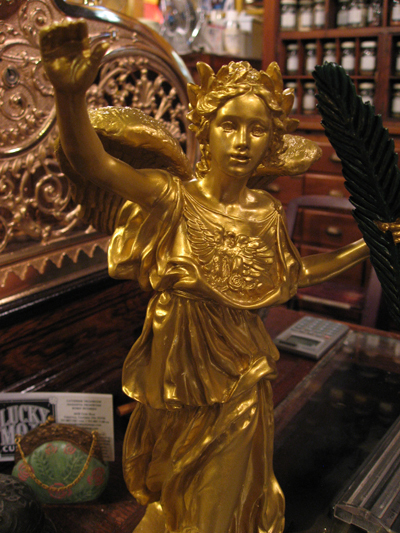 Winged Victory statue at the Lucky Mojo shop. Student-readers as well as professionals are welcome to use the Open Tent Area for readings on a drop-in basis. Those who are embarking on a career in Professional Reading are encouraged to come read for the public or trade readings with colleagues. Be sure to bring a stand-up (A-shape or L-shape) table sign to advertise yourself! 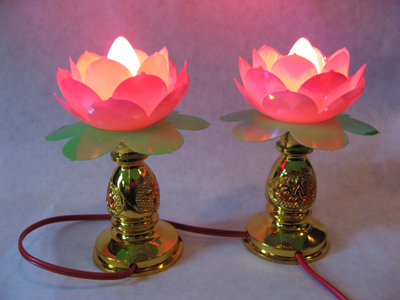 Chinese Lotus Lights at the Lucky Mojo shop. Special Guest Readers and Rootworkers from AIRR, the Association of Independent Readers and Rootworkers, will be featured on March 3, 10, 17, 24, and 31, 2012. Tune in and see who's up! If you plan on coming out for the May MISC workshops, now is the time to pre-register. 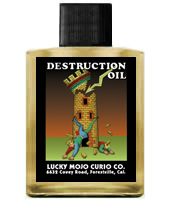 And if Destruction is in your plans, be sure to use your monthly discount coupon!